I firmly believe that you get what you give. If you put positive energy out to the universe you get it back. I also believe that each person you meet in your life is a blessing and has a lesson to teach. At a young age I discovered that you can learn from other people’s mistakes and their success stories. I also learned how important mentors are to your development as a person and as a professional. Throughout my life I’ve had many mentors. I’ve found mentors that are family friends, people in my industry, coworkers, bosses, business acquaintances, and friends I’ve made in Rotary. If you take the time to get to know people and learn about their life experiences you can pick up some very good lessons along the way. These people have made a big difference in my life, saved me from making a lot of bad decisions, and made me a better person. Now it is my turn to be a mentor. Over the last few years I’ve been able to hire summer interns. It has been a rewarding experience for me and my first chance to act as an official mentor. It is very rewarding to share with them some lessons I’ve learned along the way. It has been a humbling experience being a mentor. There is so much knowledge and experience I want to give them, but there is so little time. The internship is only during the summer event season, which is the most challenging part of the year for my job. They see me at my best and at my worst, all within a few short months. They work in the event trenches with me and they share the pain of working hard and being sleep deprived. They understand the big bags under your eyes and the different phases of tired because we all work so closely together. I’ve been blessed to have four bright and intelligent interns that I’ve enjoyed working with, I swear they teach me as much as I teach them. The summer internship is a great opportunity for students to decide if they really want to pursue a career in special events and public relations. Within a few months they gain more experience than most event planners because of the diversity of events we produce. These experiences, and learning so much in such a short time frame can feel like drinking out of a fire hydrant. It is a tough summer with lots of hours, but it is well worth it in the end. The interns gain the most from our life stories, not just the experiences working at special events. We often tell them little stories and then give them the moral of the story. Sometimes we even tell them to “write that down” in our best Van Wilder impersonation. The smart interns take notes, whether they are written in ink or just burned into their memory makes no difference. Life lessons are life lessons. Alli Williams was one of my great interns. She is a University of Nevada School of Journalism graduate and worked with us over the 2013 special event season. Alli was quiet, quick witted, talented, and extremely creative. She had brilliant graphic design skills and was very dependable. Her portfolio that she developed in school is fantastic! There was one advertisement in particular that she designed for Geico that sticks in my memory years later. I swear she could have received a national award for the advertisement concept. Alli took a lot of my little life lessons to heart and she even wrote a blog post about them. At the end of the summer I just hope I’ve made a difference in their lives and based on Alli’s blog I think she picked up a lot of good life lessons during her summer with us at the Nugget. Please read Alli’s blog post about being an intern at The Business Casual Life. If you ever get the chance to mentor someone, do it! Being a mentor is a great experience! I’ve been closely watching the news out of Indiana this week about the controversial religious freedom bill. As someone that works in tourism I can see how damaging this bill could be to future tourism and convention business, as well as economic development in general. I don’t want to focus on whether the bill is right or wrong. After eight years as a political television show producer I’ve mastered the art of agreeing to disagree so this blog is not the place to debate the issues in the bill. The real point of this blog is to invite business and conventions not happy with their political environment to consider Nevada and encourage you to pay attention to your political environment because it can have a tremendous impact on your business. In this situation Marc Benioff, CEO of Salesforce.com, is threating to leave the State of Indiana or limit future business growth. This would be a huge hit to their economy. In the convention and tourism industry Gen Con is threatening to move their convention because the new bill doesn’t provide the type of welcome environment that they need for their convention. This got me thinking we should get all the large properties in our area together to bring Gen Con to Reno. It also reminded me that the political environment that your business operates in can have consequences and it is important to be involved and pay attention. Losing Gen Con would be a big hit to Indianapolis considering it is estimated that the event brings in $50 million economic impact. The event is billed as the “Best Four Days in Gaming” and is the original and longest-running gaming convention in the world. People come to the convention from all over the United States and from more than 40 countries. The event happens the last weekend of July, perfect timing right before Hot August Nights! Reno would be perfect for this crowd! We are welcoming, we have gamers locally, we have many different venues, and we love a good party where people dress up in costumes. Convention attendees would be welcome in Reno! They would find an affordable place to have their convention with a lot of different opportunities for entertainment. The convention is so big it could take over the town and we would welcome them with open arms! As I did more research my dream of bringing Gen Con to Reno came to a screeching halt. It turns out the event is too big for Reno. With 56,000 unique attendees over four days we probably don’t have enough hotel rooms in the Reno/Sparks area, we have approximately 20,000 rooms. We might have more rooms by 2020 when their contract with Indianapolis is up for renewal. In the meantime, I would like to encourage Gen Con to consider moving to Las Vegas, our bigger sibling city to the south. The weather is nice, and they are also welcoming and accepting of all people. Nevada is a great destination for conventions, we are happy to provide an environment that welcomes all attendees. The hospitality industry is what Nevada is world famous for and we know how to host world-class conventions. I know Las Vegas would welcome you with open arms. All of us in Nevada hope before you make any decisions you will come check out all the opportunities the Great State of Nevada has to offer. Enjoy reading Mad About Events Blog? Feel free to share on Twitter or Facebook by using the super-easy share buttons below. Reno is a great place to visit because there is always something going on. Well informed tourists, and of course our locals, know that you can come to Reno any weekend and find a wide variety of fun and affordable entertainment. This weekend alone there are Leprechaun runs and bar crawls in honor of St. Patty’s Day, Micro Championship Wrestling, comedy shows, a monster truck rally, and for the foodies there is a wine and food tasting event called Corks & Kegs. Corks & Kegs, the 2nd Annual Wine & Craft Beer Tasting event, will be held Saturday, March 14, 2015 at the Nugget Casino Resort. The event will feature world class wines & craft beer as well as appetizer sampling. There will be a silent auction featuring great prizes and live entertainment. Guests will enjoy appetizers while they check out the auction items. The menu for the evening was created by Chef Keith Sadanaga, one of my favorite chefs! The 8-piece swing band, the Brass Knuckles, will be providing live entertainment for the party. This is an event you won’t want to miss! Proceeds from the event benefit the Perry Foundation. The foundation is a 501 (c)(3) non-profit foundation and a great organization to support. The charity is committed to providing education to Nevada’s post-acute care provider and regulatory community through community awareness and donor support. They are a statewide organization that serves elderly in all Nevada communities. The foundation focuses on improving the quality of care to residents of our state’s nursing homes and assisted living facilities. Corks & Kegs starts at 5:00 p.m. in the Rose Ballroom at the Nugget. Tickets are $45 in advance and can be purchased at www.janugget.com or by calling 800-648-1177. The day of the event ticket prices are $55 and can be bought online, by calling the Nugget, or at the door. Corks & Kegs is one of the many great events our community has to offer this weekend. If you find yourself bored at home, it’s your own fault! There are always plenty of opportunities for fun in Reno. If you plan a special event in the Reno/Sparks area and would like me to post about it on Mad About Events Blog. Please contact me. This is our 2015 Brew HaHa Interview Mashup video. The clips essentially tell the story of Brew HaHa in less than 14 minutes. Special thanks to the local media that let us come on their shows, talk about Brew HaHa, give out free tickets, and share our beer! We couldn’t make this event a success without you! Warning: The video doesn’t have the best sound or video quality. It was shot and edited on an iPad. You can watch the full interview videos on the Event Videos & Interviews Page of Mad About Events Blog. Brainstorming. You love it, you hate it, or you just tolerate it. It can be tricky to have a successful brainstorming session. I was recently assigned the task of hosting a brainstorming session for sponsorship development. My boss thought it would be a good idea to have the whole management team, which is approximately 50 people, work together to brainstorm sponsorship ideas for the two biggest events I plan. I wasn’t convinced it would work, but I wanted to do the best we could, so I did some research. Like all good researchers I went to Google and typed in “How to plan a brainstorming session.” I received a lot of good information, including good rules for brainstorming sessions. The most interesting search results were that people do better alone brainstorming, and then the contradictory results that people worked better as a group brainstorming. There was a fascinating article in The Wall Street Journal by Jared Sandberg back in 2006 called “Brainstorming Works Best if People Scramble For Ideas on Their Own” which caught my eye. The article pointed out some very obvious flaws in the concept of brainstorming. For example, people are self-conscious and don’t want to speak up, creativity can’t be scheduled for a certain time of the day, someone hijacks the topic, someone tries to prove everyone else wrong, people go out of their way to impress superiors who are present, or someone talks over their colleagues and doesn’t know when to stop. The article presents findings from Professor Paulus, professor of psychology at the University of Texas at Arlington. He found that usually group brainstormers perform at 50% of the level they would if they brainstormed alone. Brainstorming is very important to many businesses. I’ve never heard that it was so ineffective. Other search results mainly focused on the effectiveness of brainstorming, especially if everyone builds on each other’s ideas. So I decided to use my brainstorming session as an experiment to test these two theories. At our weekly management meeting we sit at tables of 5-6 people. This is the perfect size for a brainstorming group. Each person that came to the meeting received two pieces of paper, one for each event. The CEO gave an introduction and told the meeting attendees that we were going to have a brainstorming session. I started off the session telling them about the two theories and that we were doing an experiment. I could see the relief on many faces when I told them we would start off with brainstorming alone, that was a big sign. I started the session by telling everyone that I would not give them a list of current sponsors because I wanted them to think of this as if we were starting from scratch. I also wouldn’t tell them if their suggestions were past or current sponsors in honor of saving time. I told them that at the end of the session all of the lists would be taken back to my office and I would send proposal to potential new sponsors. I then told them the sponsor levels but that was it. Then I gave them 3 minutes to brainstorm silently. After the 3 minutes they were given 2 minutes to discuss their list with the other people at their table. Before they started I had my friend in the sales department read the rules. The Rules: go for quantity, be visual, hold off judgment, build on top of each other’s idea, focus, and go for crazy ideas. They were told to work together to come up with the top 3 sponsors. Then we went around to each table and they told us their top 3 sponsors. It was very interesting because the brainstorm for the first session went well. They came up with more ideas and they gave me a lot of good leads. The second round where they had more time as a group and less time brainstorming alone surprisingly didn’t go as well. They were all so talkative after sharing their top 3 suggestions in Round 1 that I couldn’t completely gain control of the room and get everyone to silently brainstorm for Round 2. I even called people out for talking to their neighbor like a teacher would, and it barely had an effect on them. Their lists were also shorter for the second brainstorming session. The event we were brainstorming sponsors for is about 10 times larger than the first event, so it should have been easier to come up with sponsor ideas. The quality of suggestion in Round 2 was also not as great as the quality in Round 1. After going back to my office and analyzing the results I came to the conclusion that having them brainstorm alone for a longer time would have benefited us more. 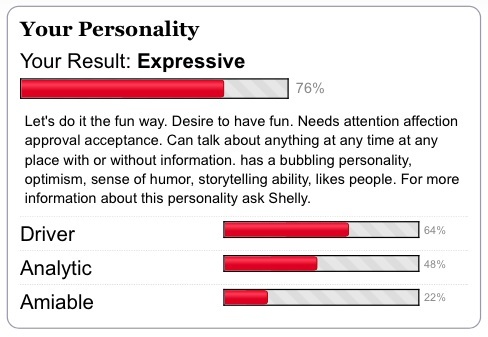 The results were much better for Round 1. The next brainstorming session I host I plan on using a similar method to Round 1 but I will give them more time to brainstorm alone since it received the best results. 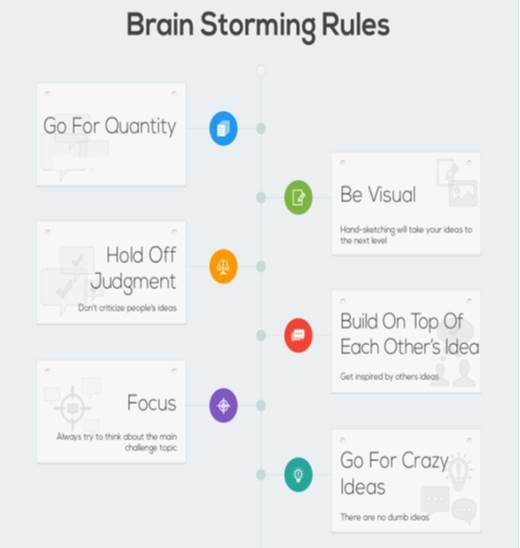 Did you find Mad About Events Blog about brainstorming helpful? Feel free to share on Twitter or Facebook by using the super-easy share buttons below.